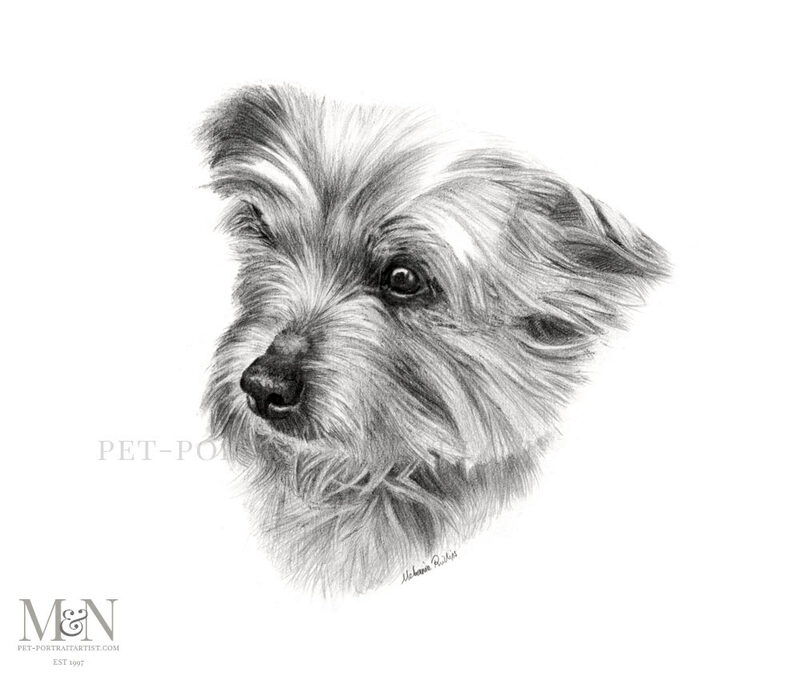 Here is my latest Pencil Pet Portrait of Poppy. This pencil drawing is a 12 x 10 portrait which I completed for a lovely client called Emma. Sadly Poppy passed away a few months ago and Emma contacted me to find out if I was able to draw a portrait of her. Emma didn’t really have the perfect photo of Poppy so I cleverly amalgamated two photos as reference for the portrait. When clients don’t have one perfect photo to remember their pet by, this is what a portrait can really come in to play, as I was able to create a full drawing of Poppy allowing Emma to have something to remember Poppy by. Emma was thrilled as you can read below. It’s lovely, just as I knew it would be. Has brought more than a few tears to my eyes (as I knew it would)! Thank you so much, I’m sure they’ll be a few more tears when I receive it!! 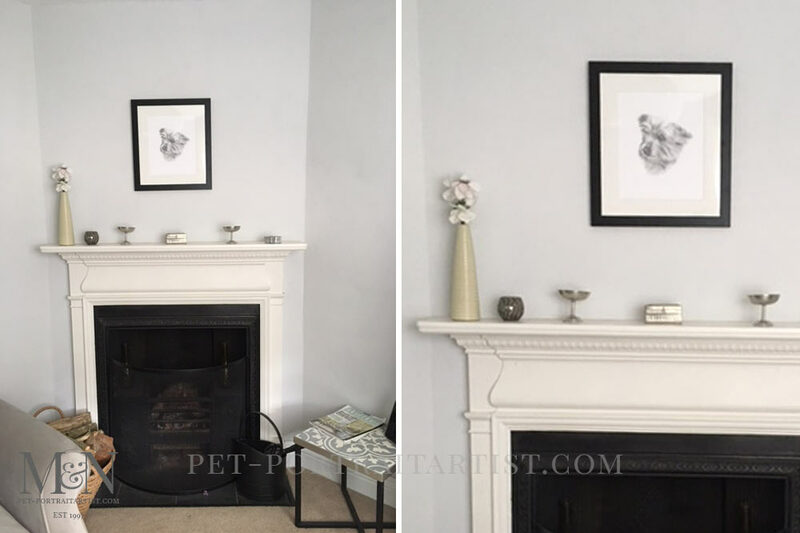 Emma has emailed a photo of Poppy’s portrait all framed and displayed on Emma’s wall above her fireplace. I wanted to add it here for everyone to see. Isn’t Emma’s home beautiful! We adore the fireplace and its surround, it all looks really cosy and what a beautiful place for Poppy to overlook the family. Thank you so much Emma! Poppy’s portrait now has pride of place in my living room. I adore it and have had some lovely comments about it, thank you again so much.